Shi Yang (1889-1923), lawyer by trade and a member of the Chinese Communist Party. He was one of the early leaders of the Chinese labour movement. What follows is a fictionalised account of the last days of Shi Yang (1889–1923) based on the prison diaries included in the commemorative volume Shi Yang jinian wenji (Museum of the 7 February Massacre, Wuhan 1988). 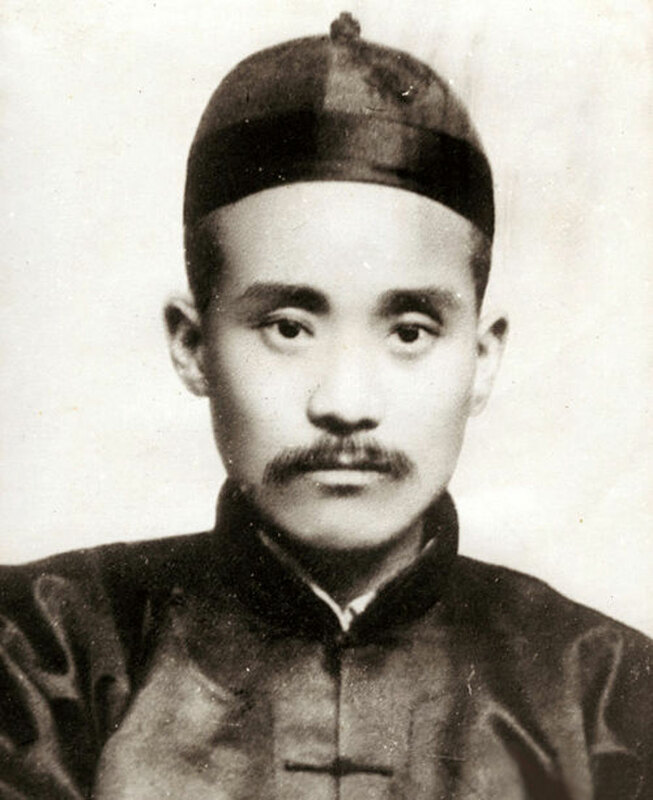 Shi Yang was a weiquan lawyer ante litteram, and to this day he remains an inspiration to many labour activists in China. The Chinese Communist Party (CCP) celebrates him as a martyr of the revolution, the irony of which will not escape those who are aware of the plight of human rights lawyers and labour activists in the country today. That in April 2018 the Chinese government passed a new law to protect the reputation and honour of ‘its’ heroes and martyrs can be seen as further adding to the irony. When they knocked at his door on the afternoon of 7 February 1923, Shi Yang had just come home after a day in court. Guns in hand, a dozen uniformed policemen rushed into the room, led by a detective in plain clothes. The officer was the first to break the silence: ‘The boss of our department wants to meet you for a chat. Hurry up!’ An experienced lawyer, Shi Yang was not easily intimidated: ‘Who is your boss?’ ‘The head of Hankou police, don’t you understand? Stop talking and follow me!’ ‘Since the director of such an important department has ordered you to come in person to fetch me, I will obviously come. Just please don’t be so aggressive. There is no need.’ Compliant, he followed them outside, despite the protests of his wife who insisted on accompanying him. ‘And why would you do that? Go back inside. I didn’t violate any law: wherever they take me, there is nothing to worry about,’ he reassured her. Actually, Shi Yang was well aware that the situation was not that simple. Tension had been mounting in the city for days, since the previous week, when the police in Zhengzhou had blocked the founding congress of a trade union that would have represented all railway workers along the Beijing-Hankou line. Rumour had it that the order had come directly from Wu Peifu, the warlord pulling the strings of the government in Beijing, a shady character who fancied himself a poet. This decision had come completely by surprise, considering that until the previous day Wu had posed as a staunch supporter of worker rights. Embittered, the railway workers had decided to hold their congress anyway, which had led to a wave of arrests. Further enraged, union leaders had decided to launch a general strike along the whole railway line, putting forward a series of demands that included the firing of the general director of the railway, the reimbursement of all expenses incurred by the workers to organise the congress, the clearing of all union spaces by the police, and—why not?—one day of paid leave a week and a week of holiday for the Spring Festival. The strike had started at noon on 4 February. The worker leaders who had organised the mobilisation had no experience in handling a strike of that size. Shi Yang was one of them. Now 34, the son of a poor family from the countryside of Hubei province, he had studied law and became a lawyer, eventually managing to open his own law firm. A member of the newly established Chinese Communist Party since 1922, he had never joined the secret work of the organisation, preferring to carry out his activities in the light of day. He worked ceaselessly to defend the poor and marginalised, representing workers and trade unionists without any concern for the threats coming from the rich and powerful. As a legal consultant for the Beijing-Hankou railway worker association, Shi Yang had played a fundamental role in the organisation of the Congress of 1 February, as well as in the ensuing events. When the skirmishes had started, he had joined a secret meeting in which trade union leaders had decided what to do. Together with Lin Xiangqian, he had been put in charge of the coordination of the strike in the Hankou area. That very night he had taken a train back to Wuhan. The general strike had lasted only three days, before being drowned in blood. 35 workers were killed, including Lin Xiangqian, who had been decapitated in front of his colleagues on a platform of the railway station in Hankou after refusing to give the order to go back to work. Three more worker leaders had shared the same fate, their horribly disfigured heads left hanging from telegraph poles as a warning. Shi Yang was certainly aware of all this—the whole city was abuzz with sordid rumours about the violence of those days—but he still decided to lie to his wife, to spare her a few more hours of relative peace before what he suspected would come. Along the way the policemen started to drag him as if he were a common criminal. ‘Whatever law I violated, I am available to follow you to the local court to go through judgment according to the law. I will not come to the police station just to have my rights violated,’ he kept saying. The response was always the same: ‘We have our orders. It is not up to us.’ Once at the police station, they entered from a side door. Inside, a couple dozen fully armed officers surrounded him. Another official in plain clothes took him to a small room, where they both sat down. The lawyer spoke for more than one hour and a half, until dinnertime. Since he had also skipped lunch, he was hungry. An official went to fetch him some food, but suddenly other policemen arrived to take him to a military court on the other side of the Yangtze river. ‘Wait until he eats something,’ somebody remarked. But Shi Yang got impatient: ‘Let’s cross the river immediately. What’s the point of eating if the time of death is close?’ Once outside, he found himself in a corridor formed by over two hundred armed policemen standing in two rows. Thirty more officers surrounded him, while two detectives held him by his arms and shoulders. At the military tribunal, Shi Yang was searched and forced to strip. Among the officials, he saw a familiar face, but there was no hint of recognition in the other person’s eyes. After a while, he was taken to the military jail, where his hands and feet were cuffed and he was thrown into a cell along with other common criminals, one of whom had already spent five years in that place. Now that the irons impaired his movements, it was this other prisoner who helped him to get on his bed. By that time, it was already 11pm, but he could hardly sleep. He did not worry for himself, but for his family: without him his wife, his daughter, and his younger brother would have no source of livelihood. 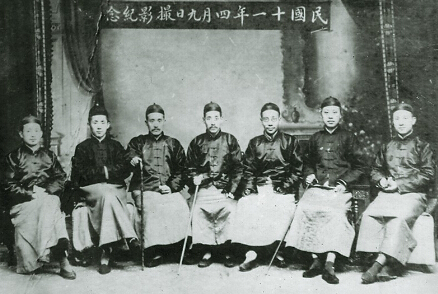 A photo that Shi Yang (third from the left) and his colleagues took in Wuhan in 1922 to celebrate the establishment of an association of workers and traders. The judge showed some sympathy: ‘I don’t really get many of the things you say, but you can give your testimony and then we will investigate. In any case, even if this case has been opened on the initiative of several government departments in Wuhan, you are famous and therefore society will pay a lot of attention to your trial. Moreover, I myself have studied law, so you can rest assured that I will judge you with equanimity and fairness. But you also have to consider that this is a military court, so unlike an ordinary tribunal it just follows orders. When you provide your testimony, don’t voice any complaint: if someone wants to accomplish great things in this world, he must be ready to suffer, there is no choice. Accept a few days of mistreatment, wait quietly, and everything will sort itself out.’ But Shi Yang was too stubborn, and as soon as the judge had finished talking he went on a tirade against the Chinese tradition of keeping prisoners in irons inside their cells, which he deemed a barbarian custom that civilised countries had abandoned a long time before. The session lasted the whole morning and most of the afternoon. At about 5pm, the lawyer was led back to his cell. He had just been cuffed, when a young official came down and gave the order to release him from his restraints: ‘Mister Shi Yang is a man of culture, take off the irons and take care of him. From now on, he will not be subjected to these methods.’ He also ordered the transfer of his two roommates to another cell and a change of blankets, not only for him, but for all prisoners. That evening, Shi Yang wrote a couple of letters, one to his family, another to a friend in Shanghai who had been arrested for an unspecified reason. After that he went to sleep. He spent the following day in his cell, drafting his own testimony. The day was over soon and before he could even realise it, it was already 10 February. On that day, Shi Yang drafted a petition on behalf of all inmates to demand better living conditions in the prison. At 1pm, he received a package with some food sent by his family and at 4pm they came to deliver clean clothes and to change bed sheets. In the evening, he wrote some letters and then he went to sleep. I have free food to cover myself. 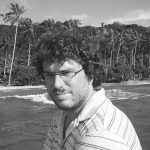 This article was originally published on Made in China, issue 2/2018.